When do you officially become a real business owner? Is it in mind or is it when you materialize your company into an existing entity? Today’s topic is to take the necessary steps to legitimize your business. Every idea begins in the mind – whether the idea is great or terrible. If you’re a real entrepreneur, after you’re inspired and instantly motivated to take over the world, you need to take the action steps to create a real business. It’s always fun to think the positive thoughts, to dream, to create vision boards, and to listen to motivational audios. Those are important tools to have that help you to build yourself up. As an entrepreneur, you will need to spend a lot of time building yourself up mentally and emotionally because this pursuit isn’t the easiest path to take. Nevertheless, at the end of the day, as a business owner, you’re tasked with the main responsibility of solving a problem by providing a product, a service, or both. Determine if there is a market for what it is that you’re wanting to provide. So many people jump into a business idea that is doomed to fail from the beginning or a type that is oversaturated, which makes it impossible to bring in enough revenue to sustain a real business. This may sound negative, but it’s a reality. Your business has to have the potential to make money in order to be successful. Otherwise, it’s just a hobby. Establish your objectives and your overall goal for wanting to be in business in the first place. After you research the market and establish your demographic, determine what you can provide that’s new to this market. A new spin on an existing product or service. Don’t remain paralyzed by thinking too much. Test out your business. Take action. See if you can legally provide the product or service that you believe will help others. This will be a trial and error period. There will be moments of failure and adjusting. You may even need to regroup altogether. This is a bit of a learning phase, but this is crucial. 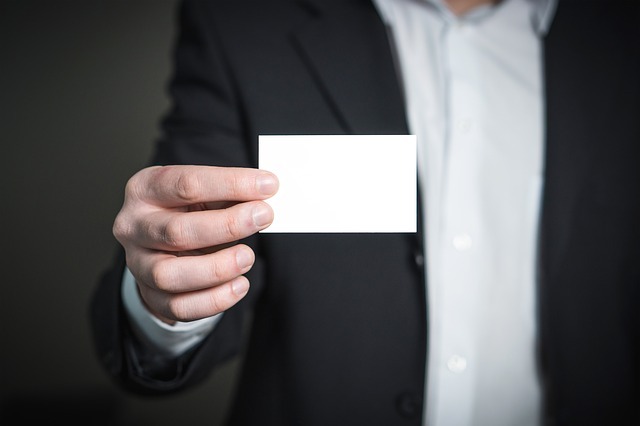 Several people want to start a business by getting business cards and a website without even having clients and without even knowing if there is a market for what it is that they’re wanting to create. Once you have a market, clients, and you get some momentum, establish your business name. Depending on your business needs, you need to choose whether you want to make your business a limited liability company, a sole proprietorship, a c-corporation, etc. Please be sure to consult an attorney and an accountant before making a decision that works best for you. File all of the necessary documents required by the state in which you plan to operate your business. I recommend Rocket Lawyer.com to help you to figure out just what those documents are. Establish a business bank account. You need to create a website. You can use WordPress or Wix to do it yourself. You can also hire someone to help you to create a website if technology isn’t your strength. Technology is definitely not mine. I did get help. Figure out which social media platforms will work the best with your business and clients, and create those social media accounts. Stay on them and be consistent so that you can connect with people globally. Attend networking events, join networking groups, etc. You want to connect with as many people as possible and build genuine relationships with as many of them as possible. Hire a successful business strategist to help you. I work with Shaun Cassidy. He is absolutely amazing. Use a platform that helps you automate your invoices, contracts, bookkeeping, etc. I recommend 17Hats. These are just steps that I took to move forward with my writing agency – The Infinite Writer Agency, LLC. Nothing happened overnight. I didn’t check off items from the above checklist in a month and all of a sudden I had a business. I didn’t even do everything in a specific order. This took time and a lot of learning. As I built myself up to be a successful entrepreneur on the inside first by listening to audios, attending professional development seminars, and creating vision boards, I failed several times. It was frustrating and discouraging a lot of the time, but I learned from those failures. With the help of supportive people around me and my ambitious nature, I overcame those failures. My business is sustainable and growing so much so that I’m at the point of contracting independent contractors. Even though this entrepreneurial process is about taking baby steps, the important thing to remember is that you have to at least take steps. Today’s LESSON is to research, take action, and learn from failures. FUN ASSIGNMENT: What can you do today to move your business forward? Brainstorm and make a list. Choose what works best for you right now. *Note: Advice provided here is based on my experience. I’m sharing what has worked for me. Please be sure to consult a proper attorney, accountant, bookkeeper, and business strategist to make sure you put your business on the right track for you. The Infinite Writer Agency, LLC and Nitara Osbourne are not responsible for your business or the decisions that you choose to make from advice provided here.